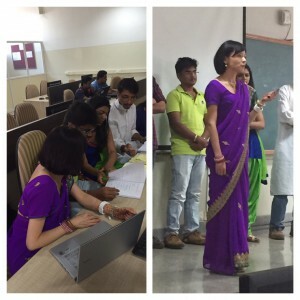 yukiko_oikawa@student.uml.edu, Author at Study Abroad in India: "Global Entrepreneurship & Innovation"Study Abroad in India: "Global Entrepreneurship & Innovation"
We had a special new year’s eve on 2015. 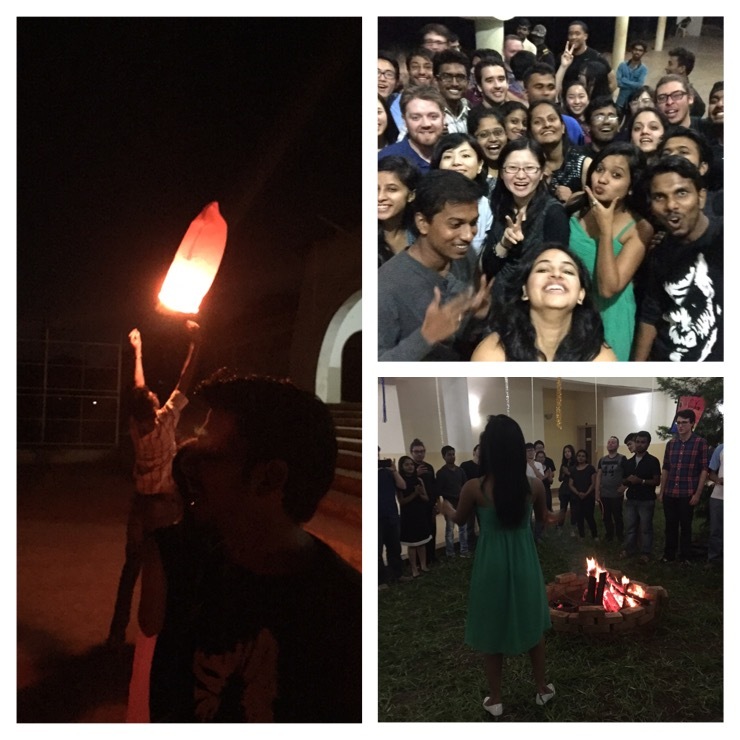 BVB students arranged many interesting activities for the eve. They decorated the scholar house where we are staying nicely with balloons, metallic laces, and so on. We flew big paper lantern by fire and it looked nice in the dark sky. It never seen anything like this back in Japan so it was a good experience. The dance party was held at the scholar house so we danced together for more than an hour and it think it shorten the mental distance. 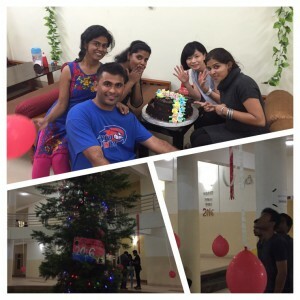 We also celebrated New Years for so many times along with the time zone. It started with Japan, 3 hours and half ahead from India, then China came after 1 hour. Then India became 2016. Then we celebrate the next day in the morning for U.S. while we were having a tea break during a class. We counted down with many people again and giving each other hugs and shook hands. There were 4 time zone difference and it took 14 hours to go. I never had this kind of experience and it was real physical thing of multinational environment. It is a special way to celebrate new year and I feel so honored to have this kind of experience. It is a great start of 2016! 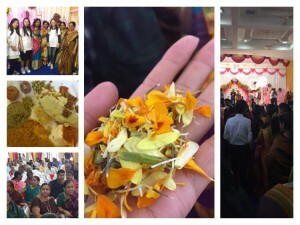 Today we visited a real Indian wedding ceremony. The atmosphere I felt in the wedding hall was very special. I did not know how to act polite in such a special occasion but we were just welcomed by them. I felt that this shows the Indian culture, culture of inclusion. I was even more surprised that we were served wedding lunch at there. As I was experiencing a real Indian culture, I tried to eat foods by hand as Indian do. It was also a new experiment. I think India is a culture of Diversity and that is why we could experience what we had at the wedding ceremony and just felt fine, no worry or feeling uncomfortable.From that aspect, Japan is not the culture of diversity and we are not get used to embrace diversity. 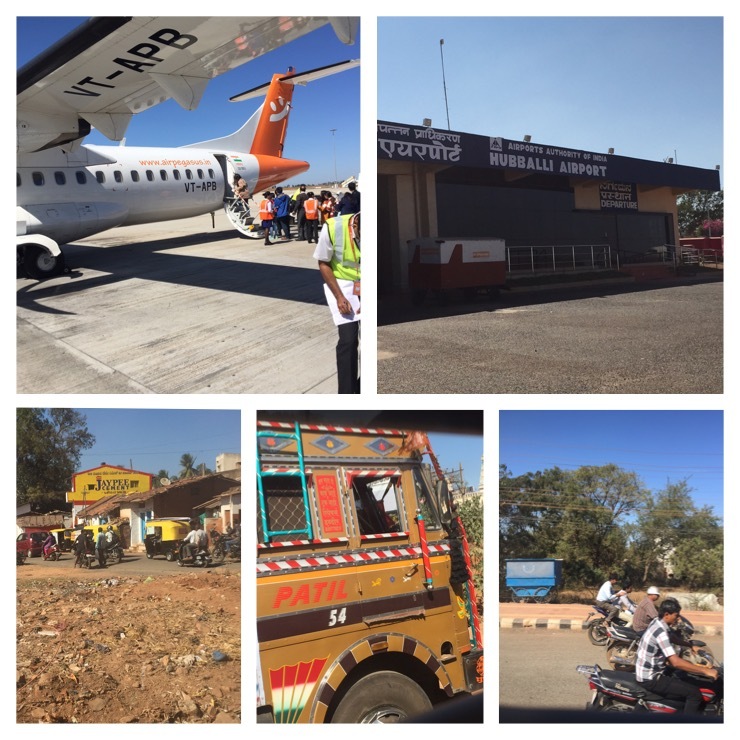 This is my first visit to India. 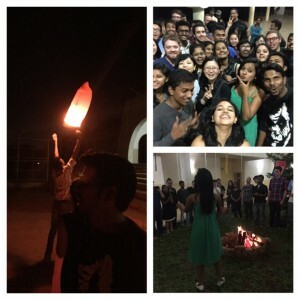 Actually, one of the reasons to attend this studying abroad program is because it is in India. I visited U.S. for several times but never had a chance to visit India.I wanted to see the growing country which has big population, 1.3billion, and it is ten times bigger than the population of Japan. This time, I am the only Japanese attending this program so I was very anxious but even I knew that I would be the only Japanese to attend, I did not change my mind. Because if I did not take this opportunity, I do not know when I can have this kind of opportunity as I had a permission to take holidays from work and also made my family understood. So I flew from Narita to Delhi then flew from Delhi to Bangalore by myself. 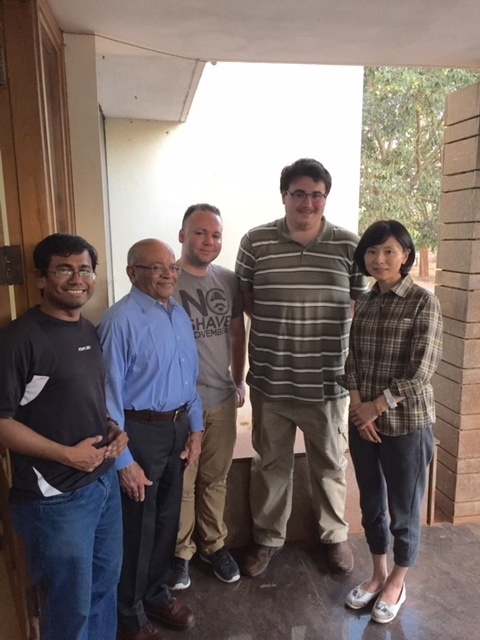 Then I met other members from UMASS and China in Bangalore airport. I was happy to see others and joined a group. I am an online student so interacting with others face to face means a lot. This is the second reason why I wanted to attend this program. I wanted to work with others face to face in multinational environment. After we got to the BVB university, we were welcomed by many students in BVB and their hospitality made me feel relax and comfortable. Lots of new things, and totally different environment, but I could manage myself. I think their hospitality contributes a lot. Especially, the people who I meet in this program is all new to me. I have never met anyone or never contacted anyone before. I only contacted Professor Ashwin through e-mail about the program. It is a challenging though, I believe that I will learn a lot from this experience and it will give me an ability and knowledge to adjust to new circumstances. I am sure that it will help a lot later in my carrier. Here is a picture with MBA students.